Designer Michael Young inspired from 1970s disco decor has created new chair. Combining ergonomics, technology and sculpture he came up with shape of the chair is made from an extruded polyurethane form, which is then upholstered in fabric, allowing for an infinite number of color and pattern variations. 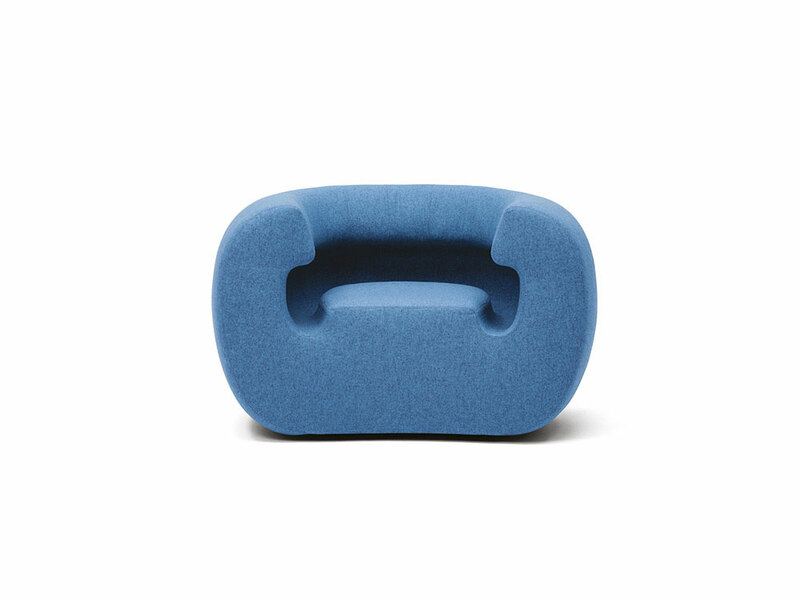 Extruded armchair named Roxanne is designed for Italian furniture manufacturer Gufram. 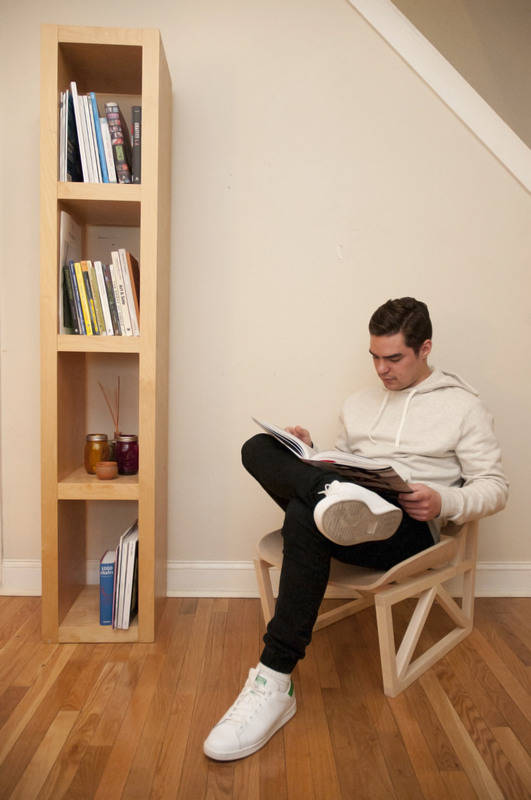 Great things to people have launched their new furniture collection. The collection is called "Remolten N°1: Revolution Series”. 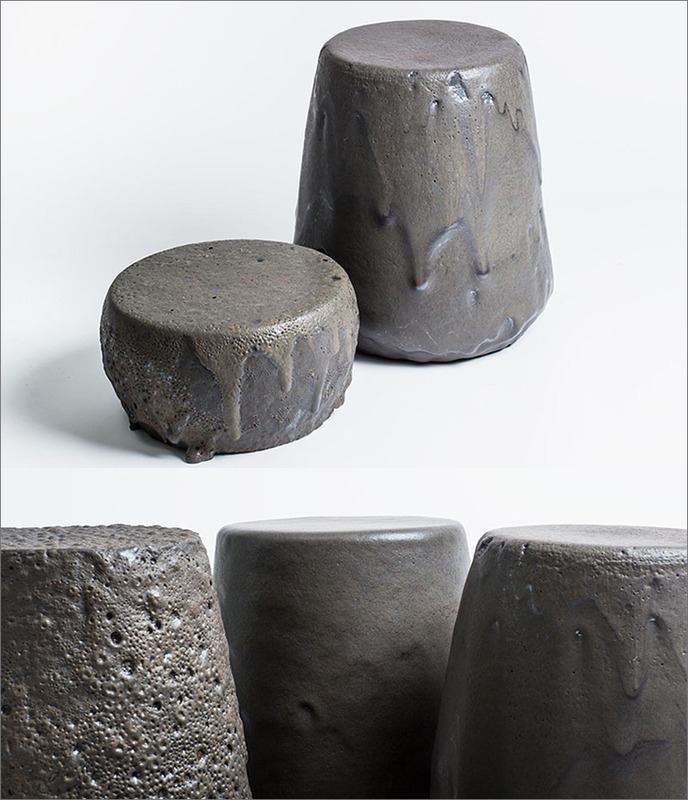 Their idea is to recreate the natural phenomenon of melting lava in new controlled way. "In nature lava rebuilds its surrounding landscape each time a volcano erupts. 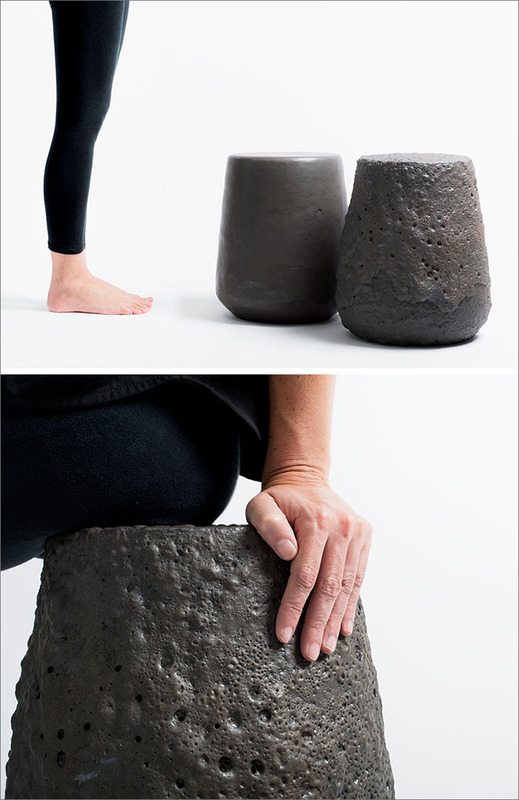 The volcanic lava covers and shapes its context, so it becomes a completely new landscape. Therefore, it is impossible to recognize the preexistent singularities; they are destroyed and a new strong beauty is created. What if we can recreate that phenomena but control it? What if we can still recognize the preexistent nature that the lava covered with the expression of that new strong beauty?" And so they created the first series of prototypes called "Remolten Revolution". 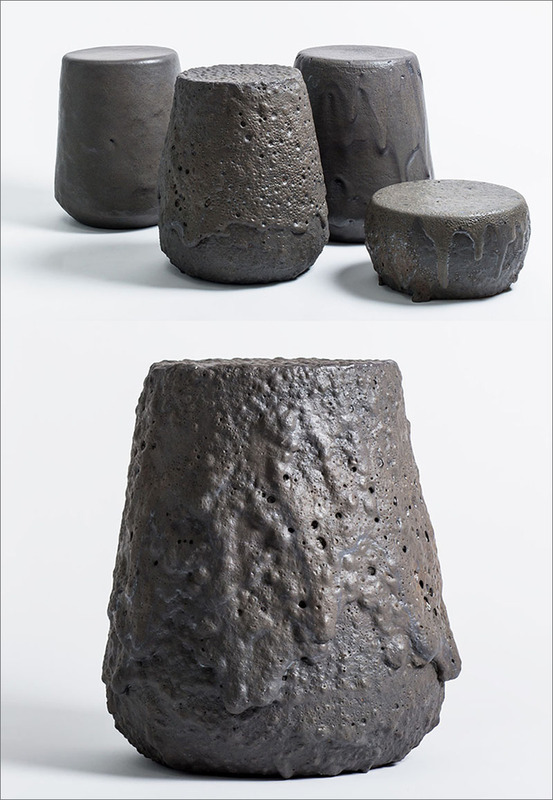 By changing temperature they produced different lava expressions, the results were rough, smooth and dripped shapes. This natural handmade process produced unique pieces. 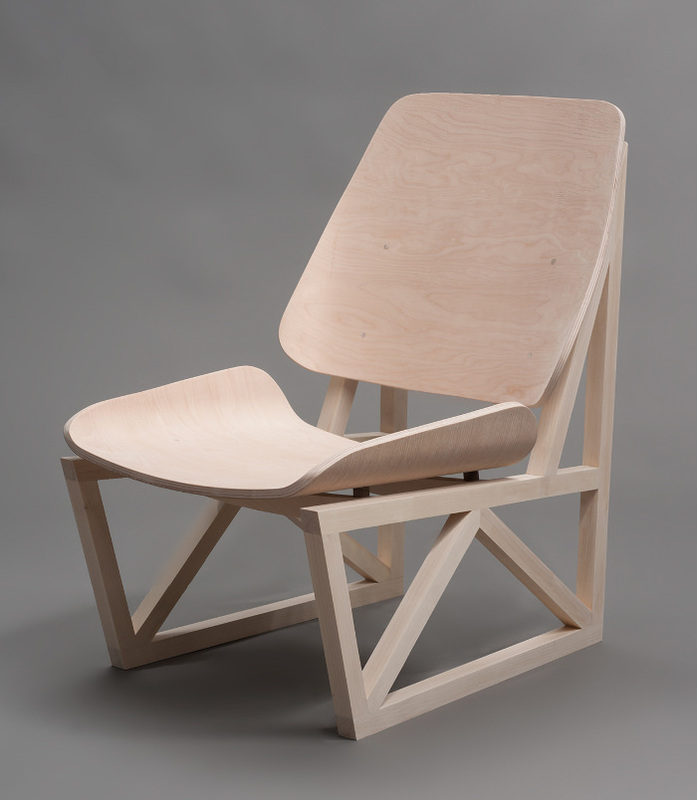 Here’s a chair designed by David Beck that manages to be chunky and minimal at the same time! 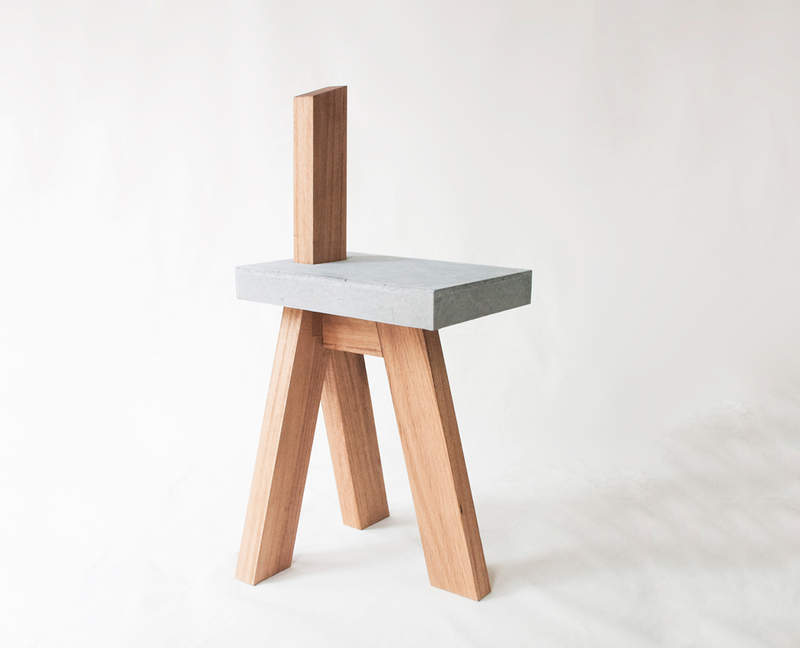 Made out of an unusually wonderful combination of wood and concrete, the Mu Chair explores a design that’s heavy to look at but quite light in reality. It’s also made out of reclaimed Styrofoam, and with sustainably grown timber. Way to conquer clean aesthetics and green-design together! The idea for a national day to focus on the environment came to Earth Day founder Gaylord Nelson, then a U.S. Senator from Wisconsin, after witnessing the ravages of the 1969 massive oil spill in Santa Barbara, California. Inspired by the student anti-war movement, he realized that if he could infuse that energy with an emerging public consciousness about air and water pollution, it would force environmental protection onto the national political agenda. Senator Nelson announced the idea for a “national teach-in on the environment” to the national media. No matter what you like to do best, there's a way to get involved in Earth Day. You could plant a tree, make a meal with locally-grown vegetables, educate a family member, clean up trash in your neighbourhood, set up a bird feeder or buy some eco friendly furniture — the possibilities are endless. Remember, you don't have to wait for Earth Day to show your love. There is no better day than Earth Day to share with you one of my favourite stories about how iconic product design is born and lasts forever. "Wilton C. Dinges founded Emeco (Electric Machine and Equipment Company) in 1940 in Hanover, Pennsylvania. 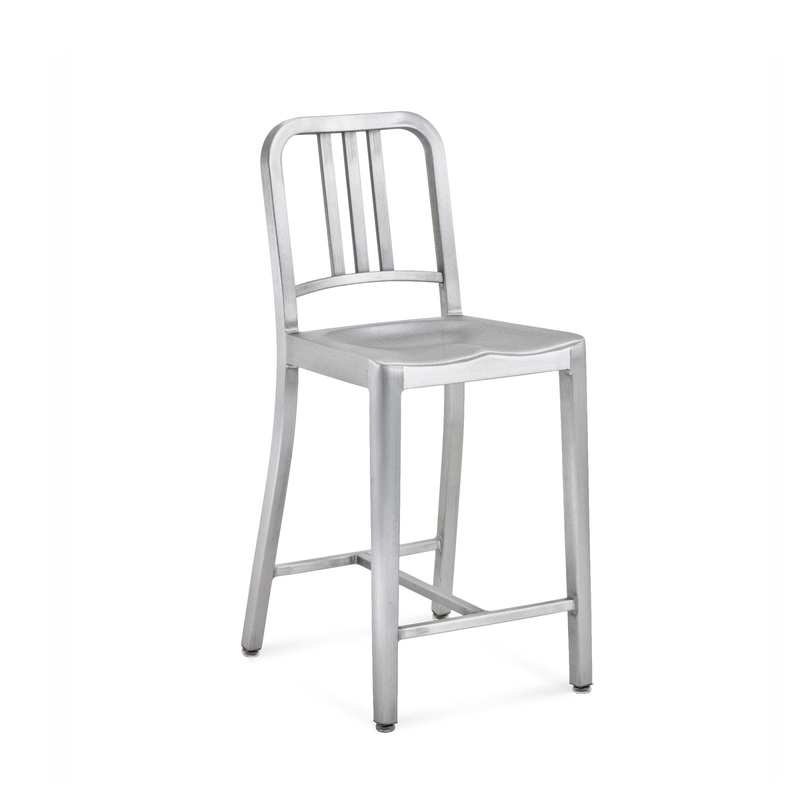 During WWII the U.S government gave him a big assignment - make chairs that could withstand water, salt air and sailors. 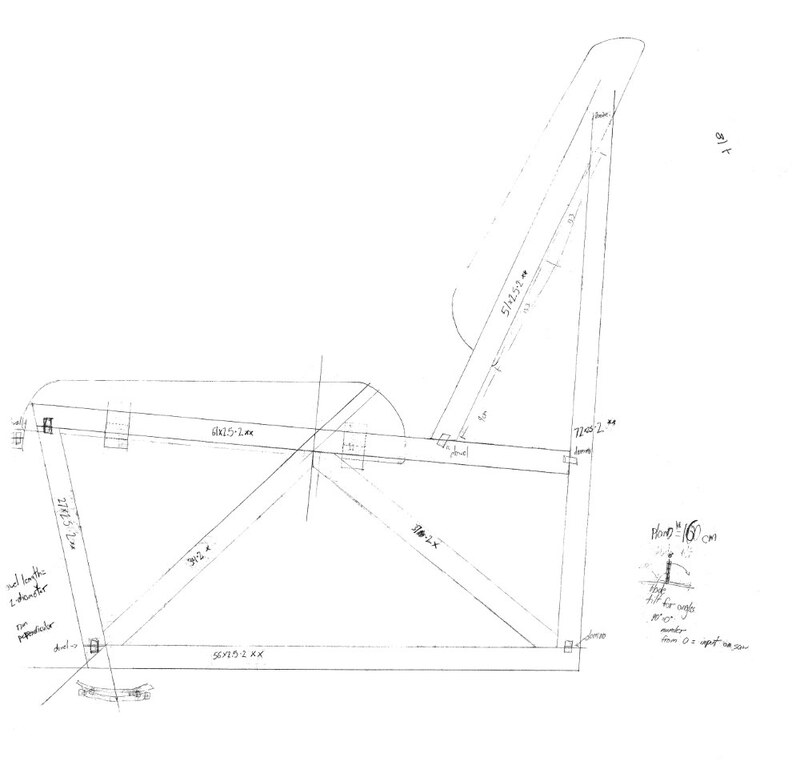 Make chairs lightweight and make them strong, build them for a lifetime. Aluminum was the obvious choice, engineered for practical purposes, designed by real people. 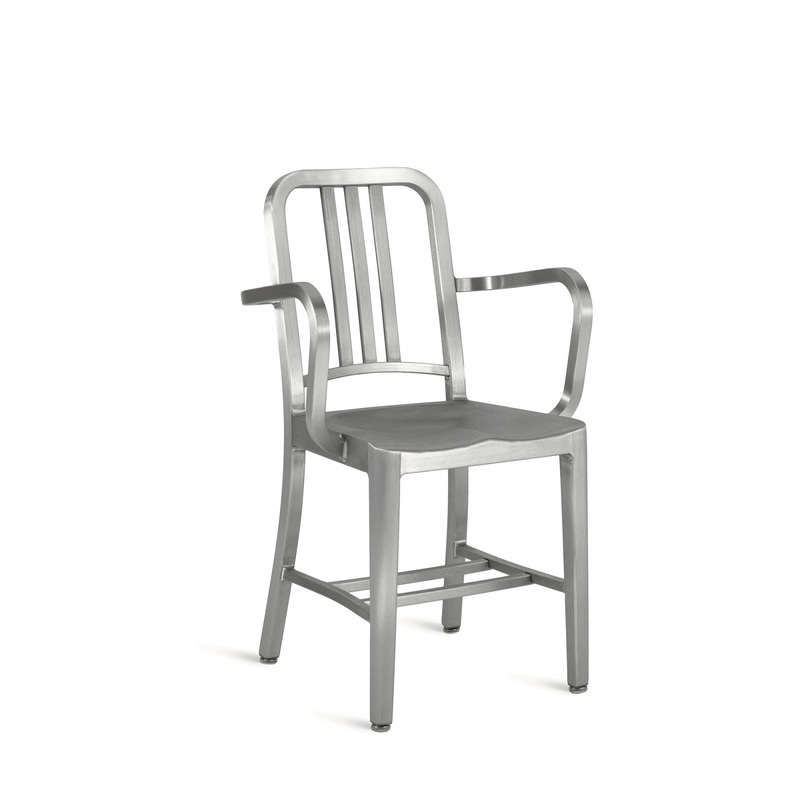 Together with Alcoa experts, Wilton C. Dinges created the 1006 Navy Chair made of recycled aluminum, using 77 steps to create a seamless one-piece look. 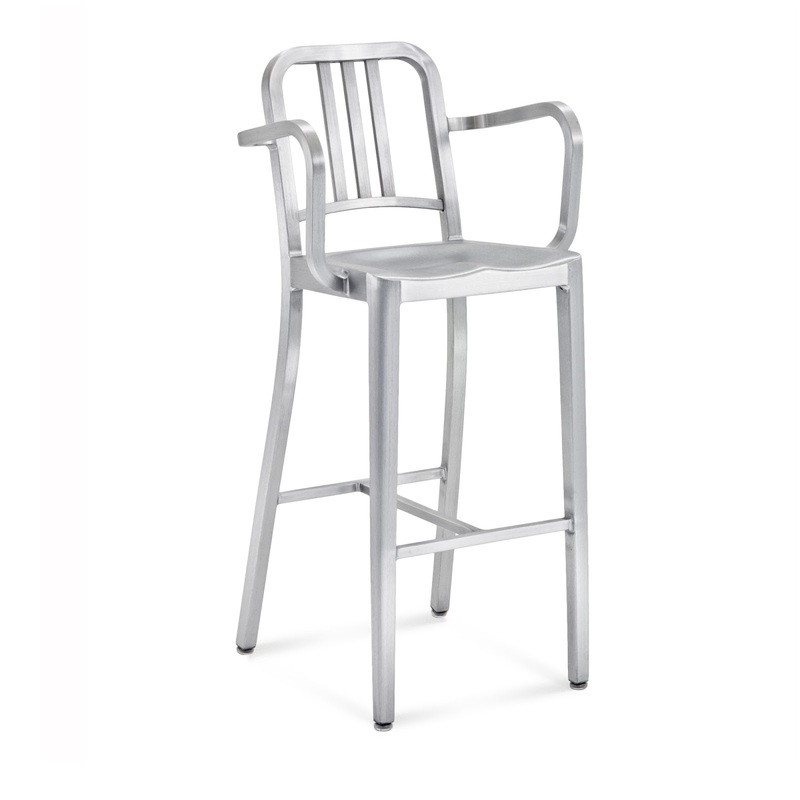 Forming, welding, grinding, heat-treating, finishing, anodizing - just a few of the steps it takes to build an Emeco chair. No one else makes chairs this way. No one can. It takes a human eye to know when the process is done right, and it takes human hands to get it that way. 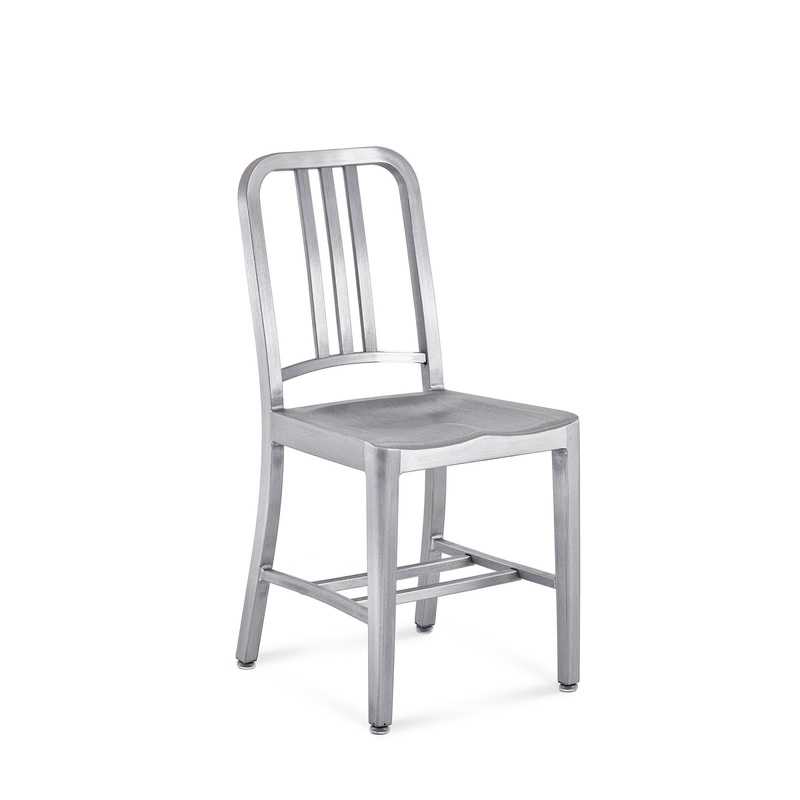 The Navy Chair was a chair so durable, it had an estimated life cycle of 150 years and far exceeded the Navy’s specifications. A humble but proud four-legged chair, weighing only seven pounds but ranked right up there alongside such unimpeachable symbols of no-nonsense American ingenuity as rag-top Jeeps, Converse high-tops, Zippo lighters and button fly Levi’s. 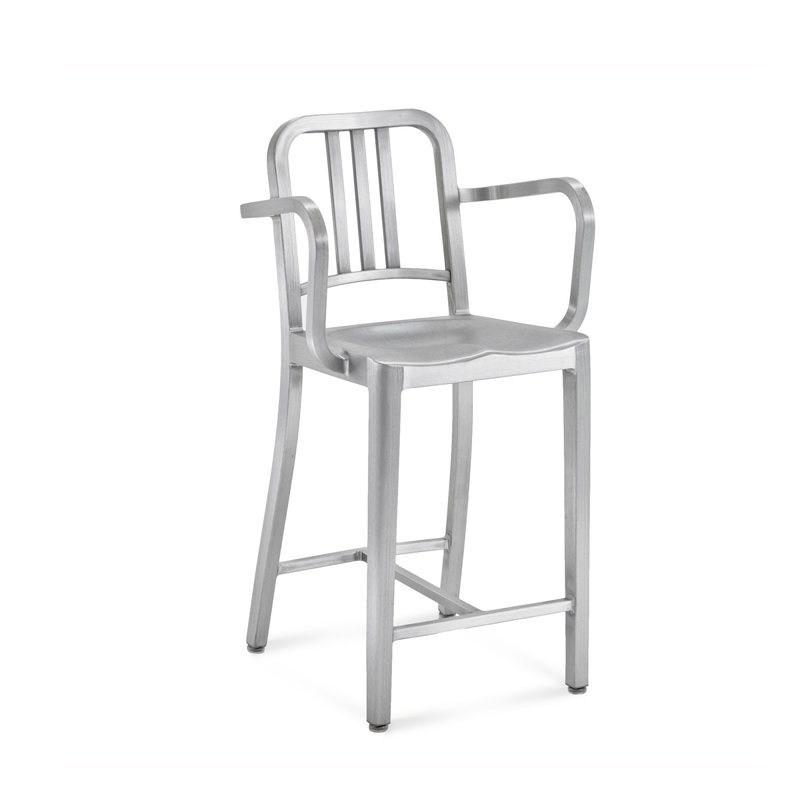 The Emeco story is characterized by a special mix of design and engineering, material knowhow and handcraft – with the mission to make things that last." 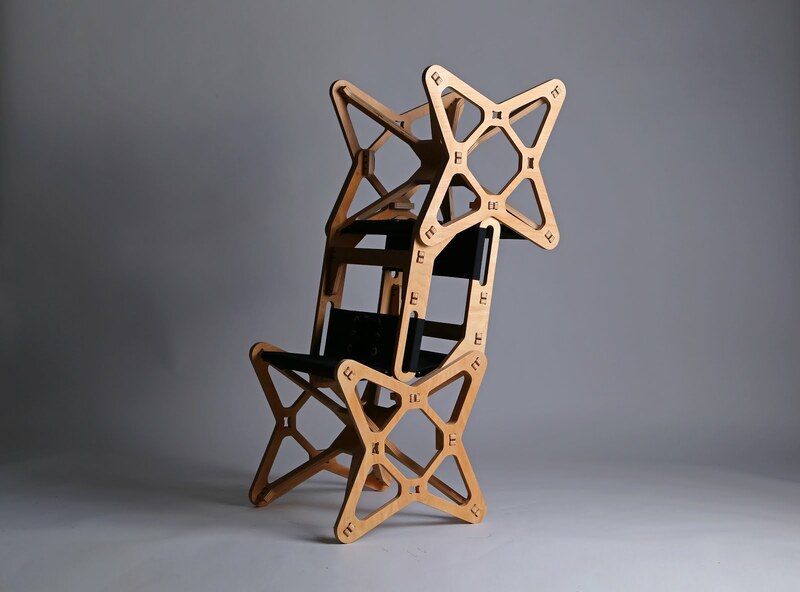 The Lese chair is a minimalistic, interlocking, puzzle structure. The unnecessary elements in the construction are avoided, thus emphasizing on the unique shape. Ergonomics is provided by specific inclines in all directions. The hardwood beech legs give strength but also redirect to the classical chairs from the past. 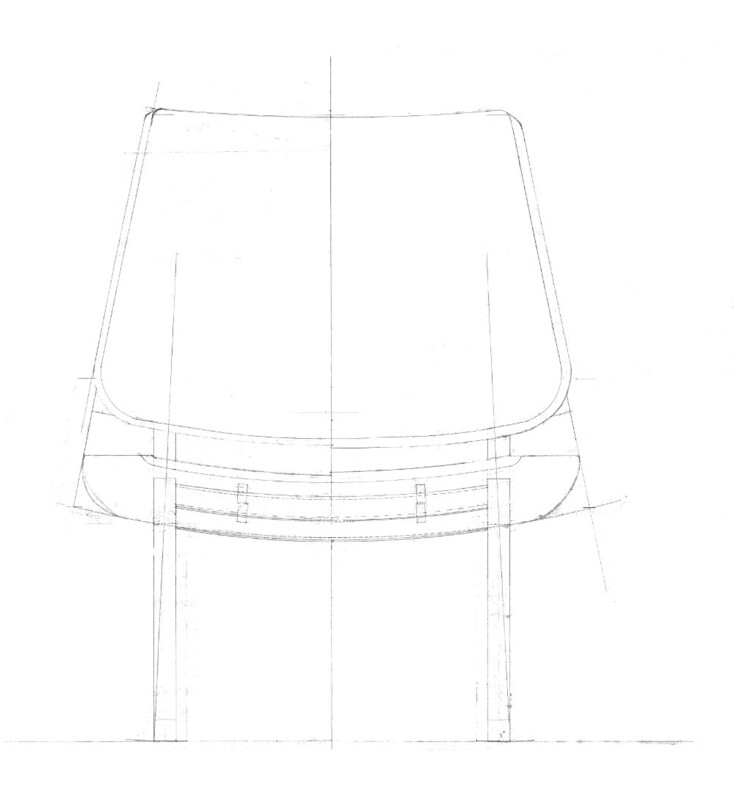 The seat and the back are produced from transparent, extremely strong polycarbonate, which allow the beauty of the construction to remain visible. 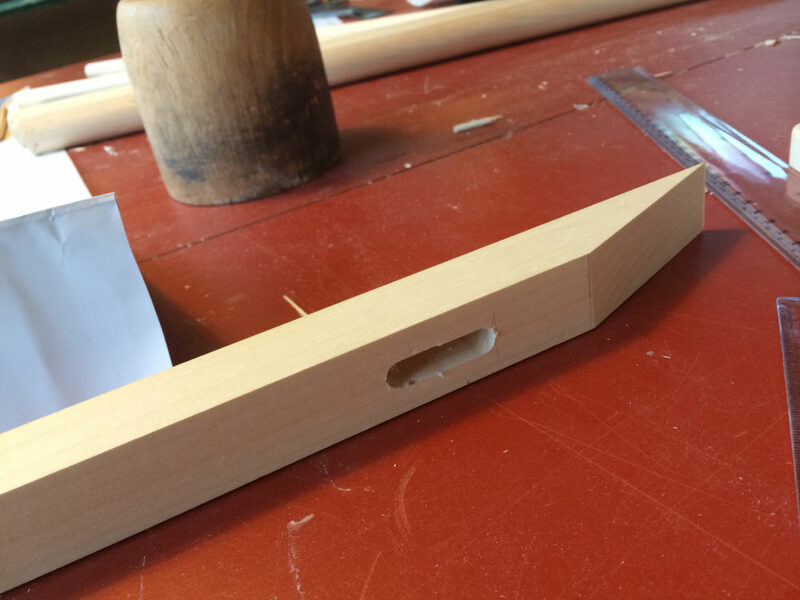 "During a nine-week program design in Copenhagen with the Danish Institute for Study Abroad, I Was tasked with designing and building a completely Call flesh out of hardwood. This Went from conceptualization to hand built full-scale model During That Time. With full creative freedom, I started exploring different ideas with my one restriction in mind That Would Be comfortable and usable in Almost Any space. 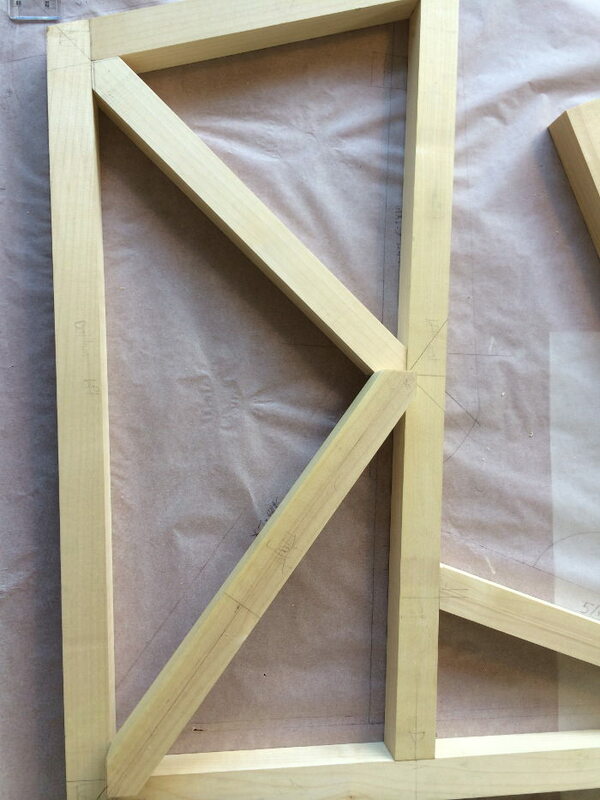 Taking inspiration from Danish tradition I wanted to Incorporate an interesting use of light, a clean visual aesthetic, and use the joinery as an interesting visual element. I first started sketching ideas as They Came to mind, for several weeks qui Progressed During The initial study period.The Entire group of students Then Went there two-week study trips, qui lead us to experience Many different designers from three different countries. Returning to Copenhagen, I started modeling and drawing Simultaneously in order to have 3 solid ideas to bring to the mid crit. Moving on from the mid crit We had one week to finalize our design, qui Then Moved to 1: 1 Construction drawings done by hand. These Were Then drawings used to build our flesh starting from a raw slab of wood. Mapping out our Carefully wood was very important. 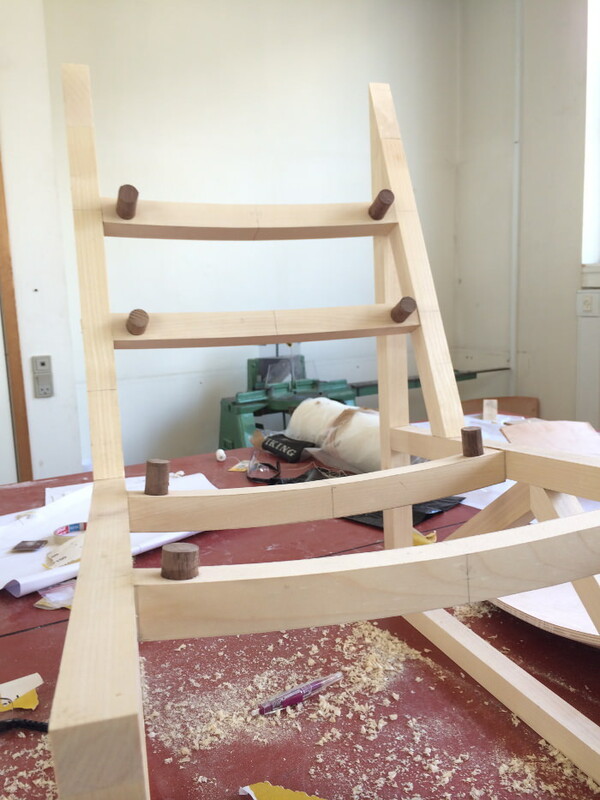 We had to make sour That It Would we all made ​​one piece, Then Would qui be cut down to my Determined measurements. Having two weeks to build our flesh this tedious process Had to move quickly. The shells were found In Their raw state to match what I needed, I Had Pressured for time to make decisions in order to Quickly finish. Finally, all of the gluing parts together Was the moment of truth. 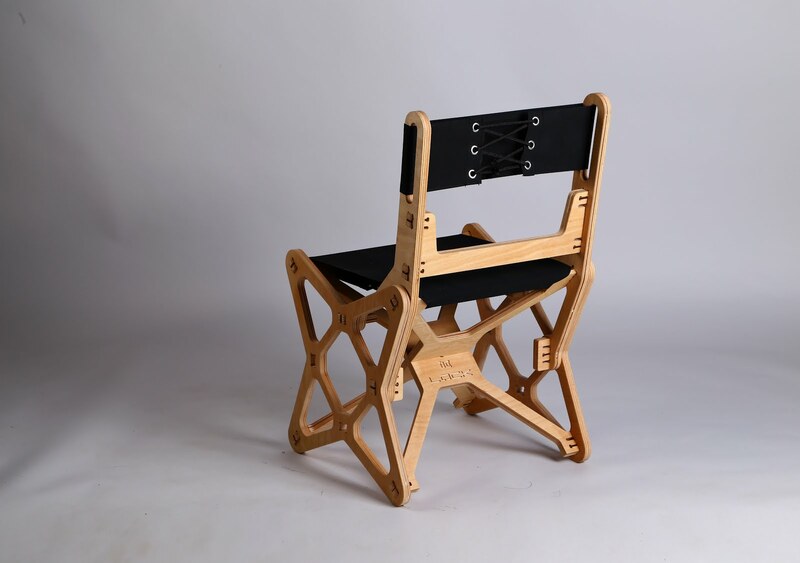 The chair is sturdy, and comfortable and Was finished in time for the annual DIS show. It now sits in my home, and looking forward I am working with the design to make it more Easily, Quickly and repeatable." For those of you who don`t know. Kickstarter is an American public-benefit corporation based in Brooklyn, New York which has built a global crowdfunding platform focused on creativity. The company’s stated mission is to help bring creative projects to life. Kickstarter has reportedly received more than $1.9 billion in pledges from 9.4 million backers to fund 257,000 creative projects, such as films, music, stage shows, comics, journalism, video games, technology and food-related projects. 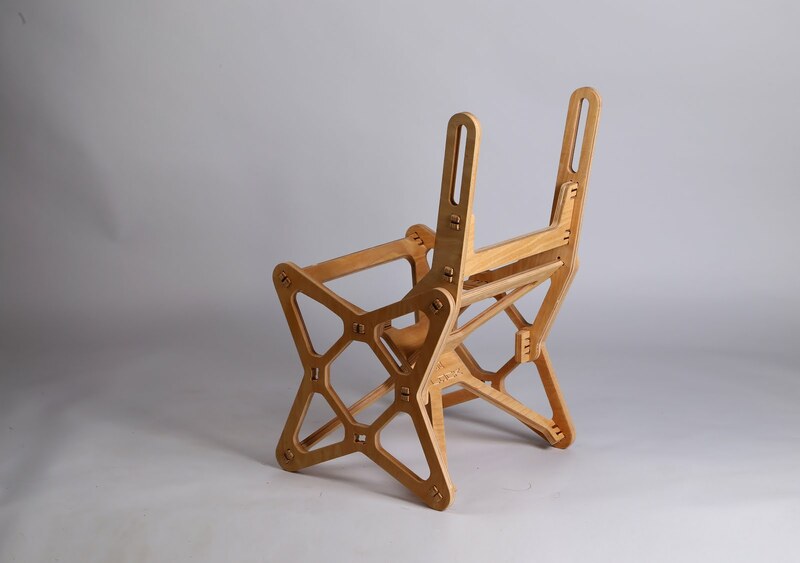 Today i`ll show you one not typical chair, that combines art design, ergonomics, innovative engineering and puzzle structure. 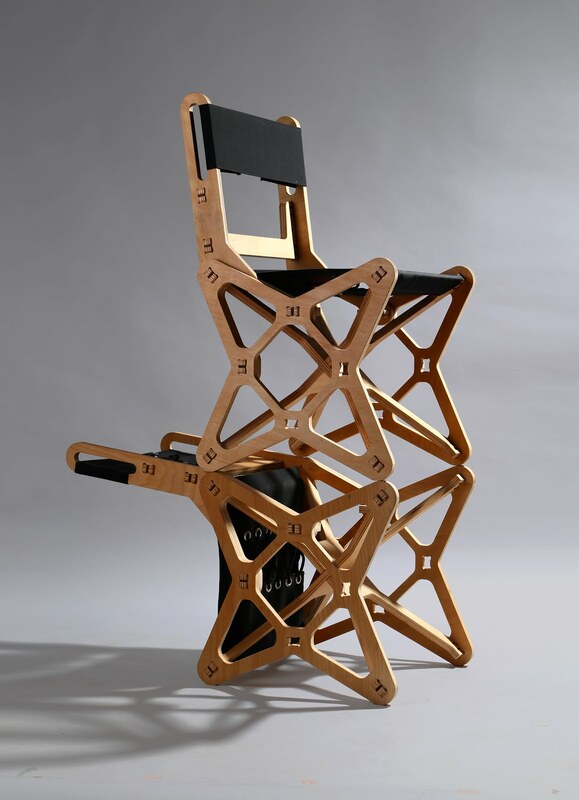 This chair is called Electron chair designed by LOCK furniture. 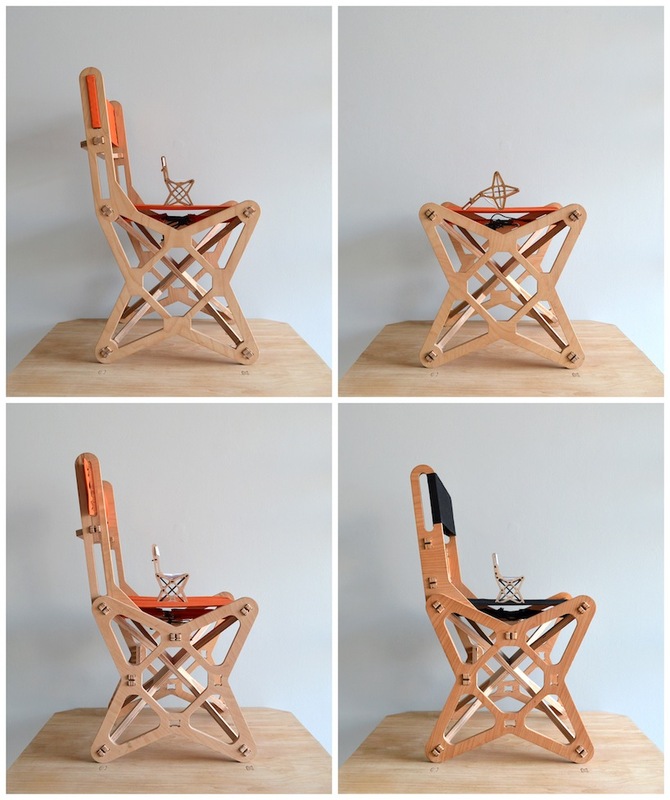 The first prototype of the chair with orange textile, published two years ago on the net, was very well accepted by the public. 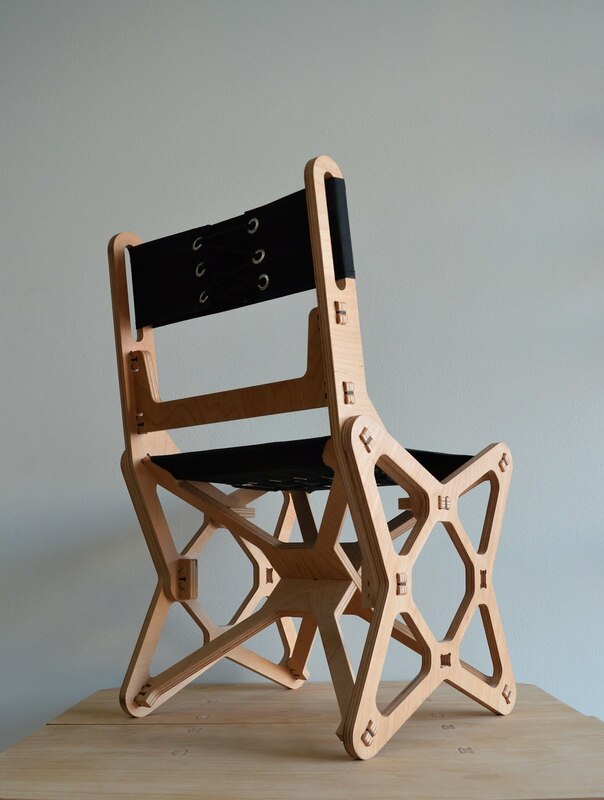 This made the designer to upgrade further the idea of the chair. 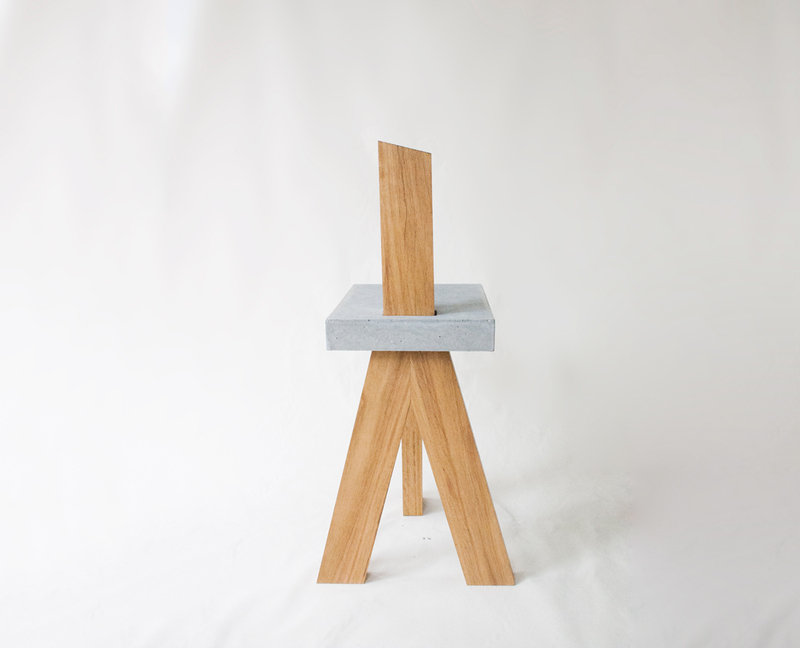 After creating several different prototypes he reached a better assembly, a more clear vision and innovative back that easily transform a stool into a chair. 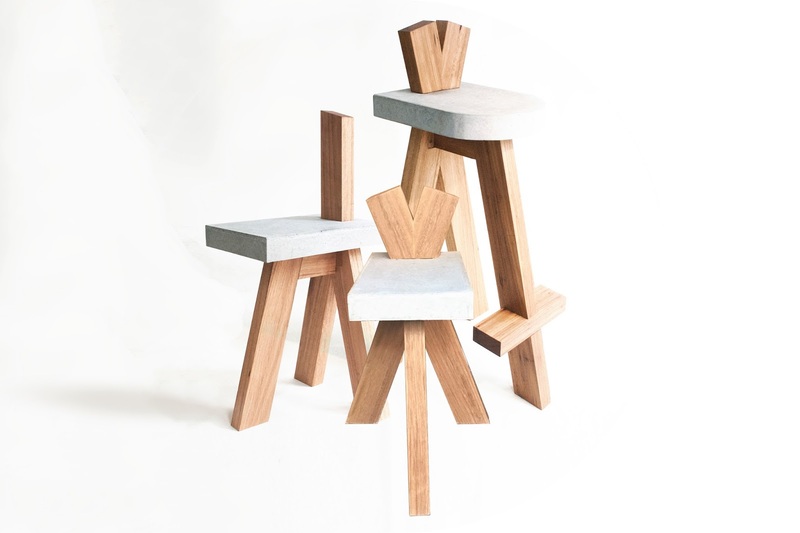 The chair also comes in more compact flat-pack. 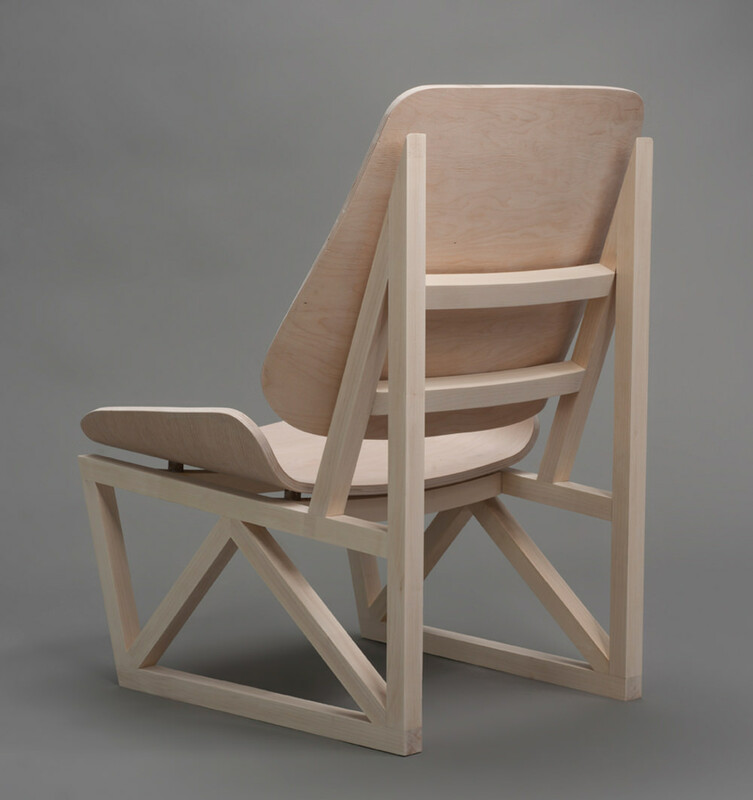 Each part of the chair is made of one sheet 18mm beech plywood cut precisely by a CNC router. 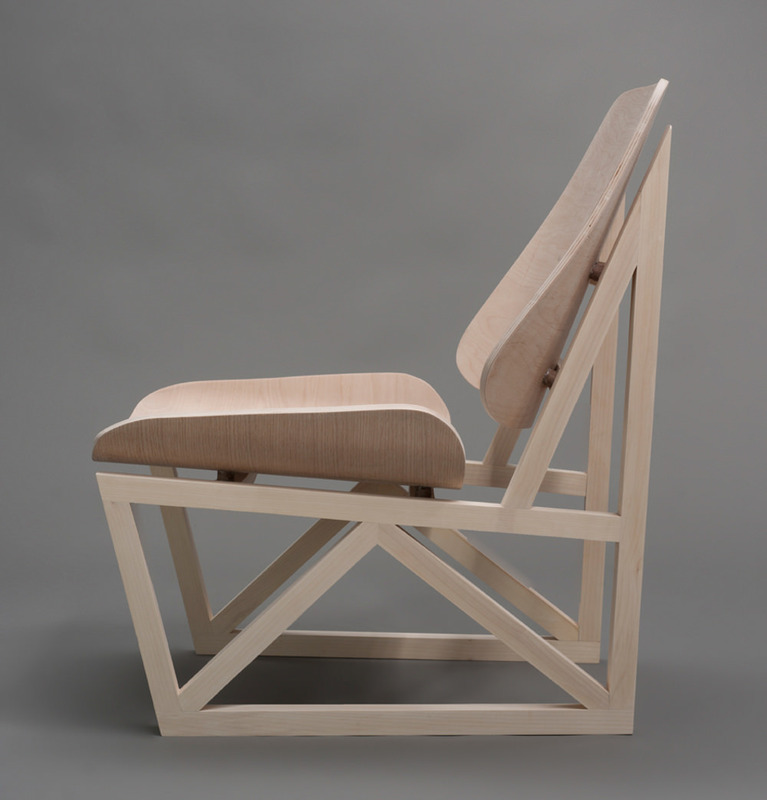 The joints of the chair are unique and provide strength and space reduction. 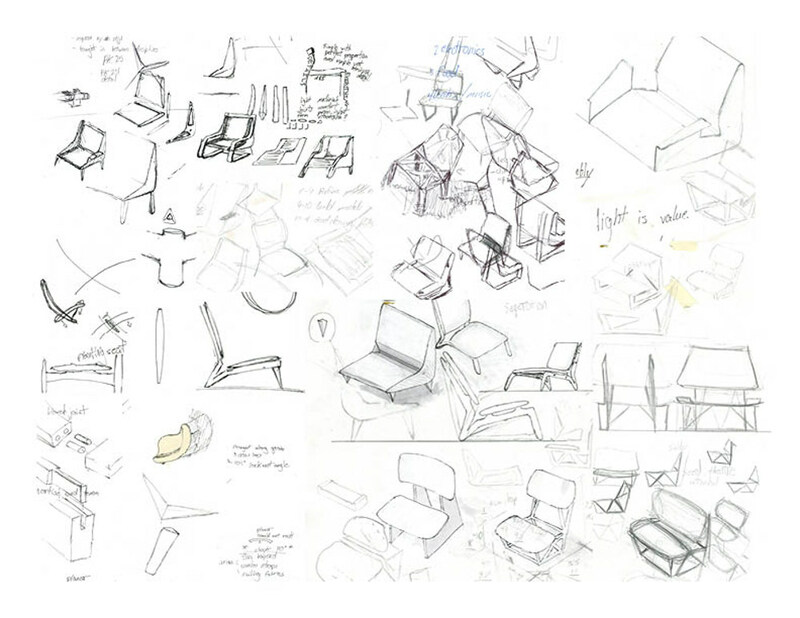 They allow extremely user-friendly assembly and hold the elements of the chair strongly and in a natural way. 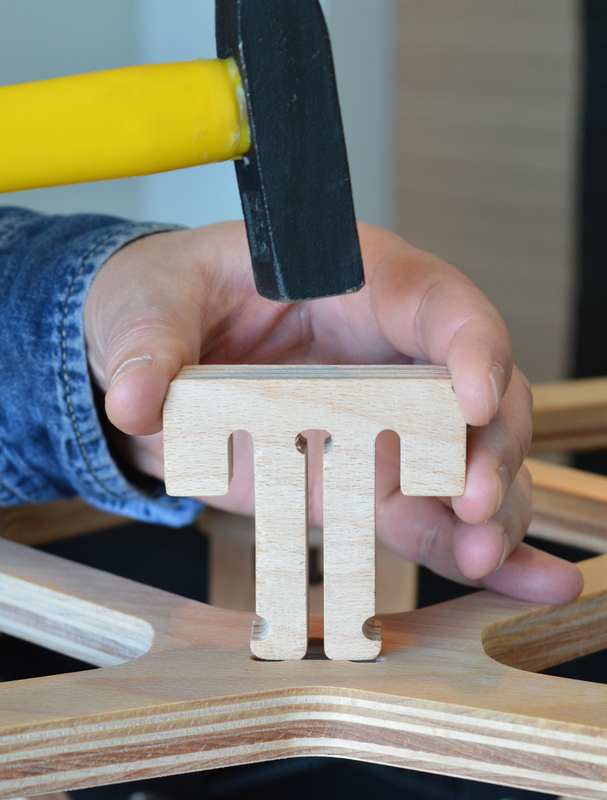 All the elements are assembled on the puzzle principle without the use of screws, nails, etc. 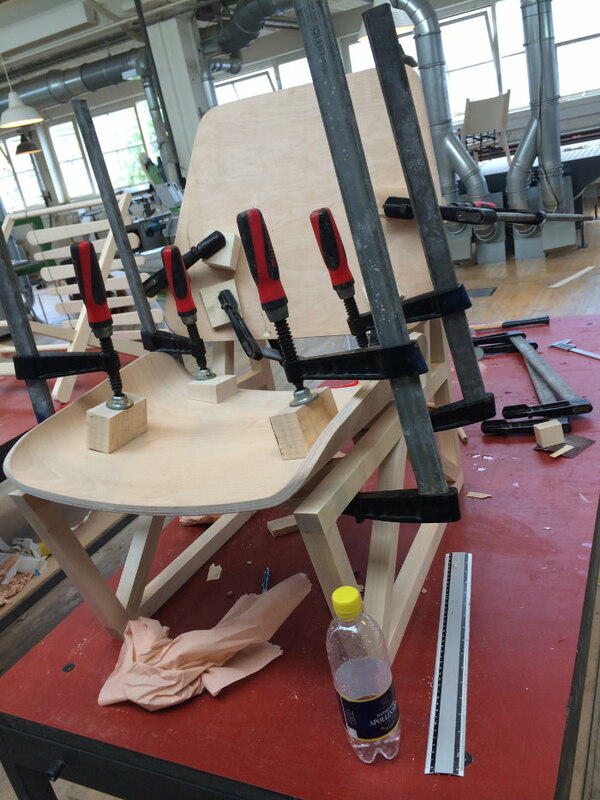 All the wooden parts of the chair are finished with Teak oil. The standard chair is offered with black, UV protected, coated textile. The designer has developed a special set of accessories. 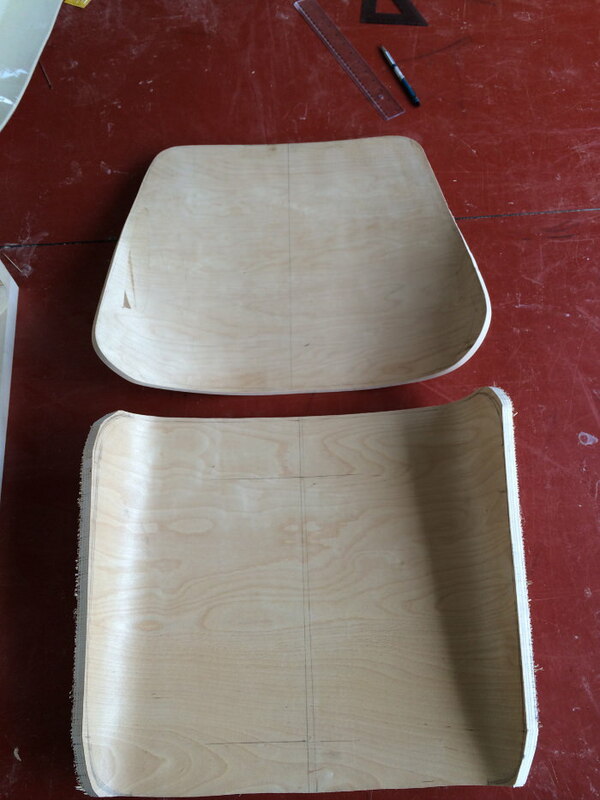 Peanut trays, tea-light holders and coat hangers are cut together with the chair, from the waste material, while forming the openings in the wooden elements. 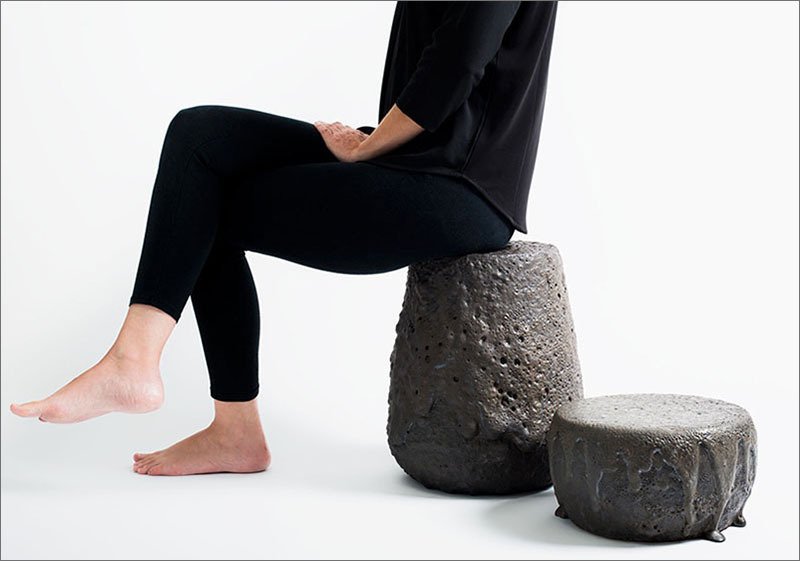 This results in a zero waste production of the chair. Designer Konstantin Achkov is a sculptor who worked for many years with complex structures like “tensegrity”. 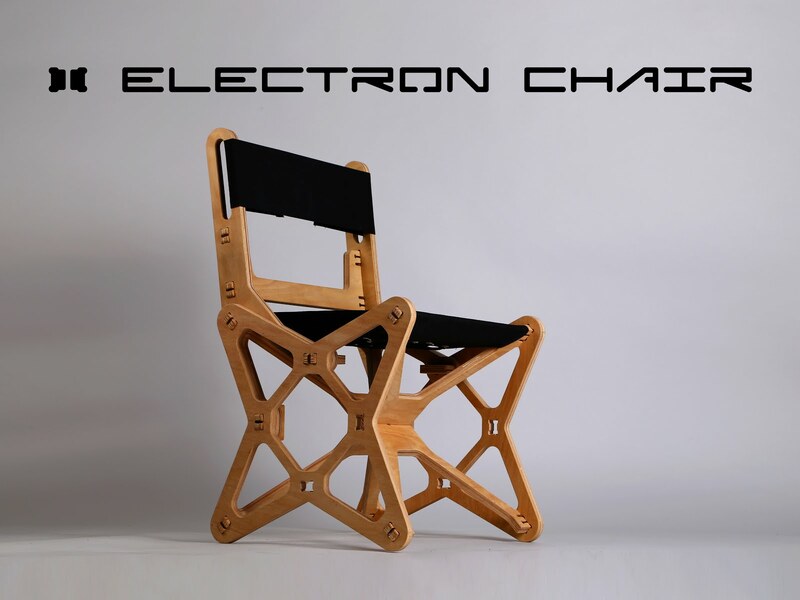 This is the one of the reasons that Electron chair presents a mixture of art and innovative engineering. You can get your Electron chair from here.